Many of you older fanciers will remember one of my favorite TV programs from the past called Quincy, but for the younger audience, Dr. Quincy was a coroner. In order to avoid the need for an avian pathologist, a fancier must practice good, common sense GENERAL CARE including good nutrition. Do you realize that a chicken is designed to live thirty years? Did you know that a healthy hen can lay for up to 18 years? Most chickens do not live that long because they succumb to a multitude of stresses, disease, and predation. But with a little common sense care and good nutrition, your birds can live a long, happy life. Let’s begin with water. Providing good, clean water is probably one of the most important things you can do for your birds. This is especially true with waterfowl. All hens need an abundance of water when laying, while roosters require less. Waterfowl drink about four times the water that chickens and turkeys do, and they require clean water for bathing as well. I recommend changing drinking water for poultry twice a day in hot weather, and once in cold unless the water becomes soiled during the day with feces, then I would change it as soon as you notice it. If this becomes a burdensome problem, then I would strategize to prevent the droppings from ending up in the water in the first place. I try to elevate my water containers off of the floor to prevent contamination by soiled shavings. I add a water-soluble vitamin, mineral, and probiotic supplement to all drinking water. It’s relatively inexpensive and a good preventative maintenance measure. When I want the waterfowl to benefit from this practice, I take their bath away from them at night and then provide fortified drinking water to them in small containers (that they can’t fit into to swim in), first thing in the morning when they’re thirsty. They’ll drink away. Then I provide their bath for the remainder of the day. To keep the duck’s bath from becoming heavily laden with bacteria from their droppings, I always add a few drops of Oxine every time I change the water. Because the Oxine will also kill off good bacteria in the stomach, wait about an hour between providing the drinking water and their first bath of the day. That will give the probiotics (good bacteria), a chance to migrate down the intestinal tract before the Oxine enters the stomach. Nutrition, in the way of feed, is vital to the good health of your birds. Purchase a brand name manufactured duck pellet or appropriate poultry feed for your particular species. For the ducks, I recommend a good duck pellet fed twice a day no more than they can clean up in about 10-15 minutes, along with a free-feed system of whole or crimped oats. They’ll prefer the pellet but will eat the oats when the pellet is gone. The oats are very nutritious for them. The crimped oats are easier to digest, but whole oats are also acceptable. In cold weather, provide a little corn for the late feeding to keep them warm overnight. This applies to your other poultry as well. I custom blend my own chicken feed, but there are many good brand name manufactured feeds available for chickens in all phases of growth and production. Free-feed works well for youngsters, while a little more controlled consumption program should be exercised for adults. Avoid the typical pitfall of feeding chickens table scraps and other “treats”. If they’re on a good feed, they don’t require additional supplements. Also, many table scraps can be toxic to your birds and unless you’re very familiar with what those items are, you run the risk of giving them the wrong thing every time you do it. Excessive spices and salts in prepared table food can be particularly problematic. And don’t ever give them chocolate. I had someone call me once to say that half of the flock died after they were given a “treat” of chocolate cereal. If you need a simple “treat” for training purposes, stick to white bread tidbits. I’m a big believer in medicated feed for both ducks and chickens. I know this is a controversial subject, but I also know from my own 3-year study in counsel with an agricultural college’s Poultry Research Veterinarian, that it has made a big difference in my flock in terms of mortality from chick to adult growth. I don’t always use it with the adults, but the youngsters get it until adulthood. Amprolium is the only medication I want in my medicated feed. Some come with Bacitracin as well I avoid those. Amprolium is a relatively safe and effective Coccidiostat and helps your birds become immune to Cocci over a long period of time. If I have chickens or ducks that are not normally out on grass or dirt that I am able to put out only occasionally, then I always put them on the medicated feed a couple of days before, during and after their exposure to dirt. I haven’t had a case of Cocci in 3 years and have had no ill effects as a result of using the Amprolium. Another consideration in good common sense care includes vaccination of your day old chicks. 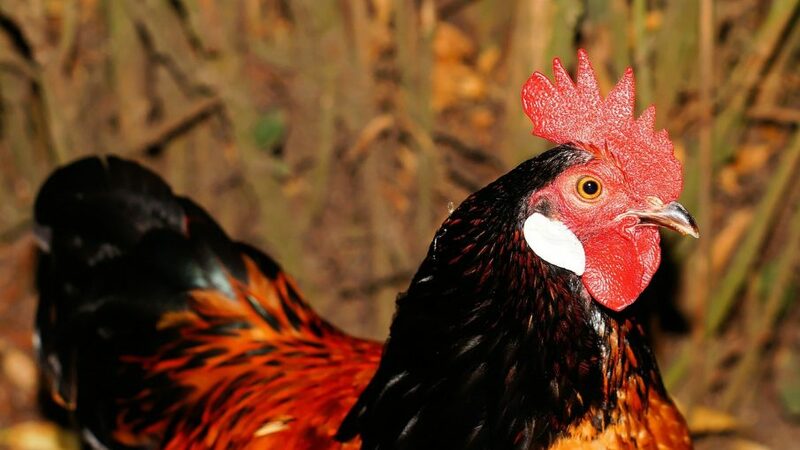 There are many available, but if you’re going to use the one that will do you the most good, then vaccinate against Mareks disease in chickens. Since I began vaccinating for Mareks, I haven’t had a single case. Read my article on Mareks if you are unfamiliar with the disease. Many people have it in their flocks and don’t even realize it. It kills more chickens than any other poultry disease and is so common, poultry health experts claim that it exists in virtually every flock. And since it is airborne, if the farm down the road has it, your birds will be exposed. I vaccinate my chicks after they’re all out and then I revaccinate all of my adults. Revaccinating the adults acts like a booster. I know this takes awhile, but with a spouse’s help, you can do 100 birds inside of a morning. It’s a small investment of time considering the alternative suffering and disappointment a case of Mareks in the flock can bring. A very important aspect of good, common sense care includes protecting your flock against predation. All of the fresh water, good food, vitamins, etc. mean nothing if a predator gets into your flock and destroys everything you’ve worked for in one night. Provide safe and secure housing for your flocks at night, whether they free-range during the day or not, or it’s only a matter of time before your birds become prey. If even with the best of care you still lose a bird, do yourself and your flock a favor, and find out what caused the death. I do my own post mortems (necropsy), but I understand that most people are not comfortable with that. If you are not, then I recommend sending your bird into a diagnostic lab that can analyze your bird’s cause of death. This is extremely helpful if it’s something contagious. It would help you save the rest of your flock if you knew how to treat the others. I’m working on a list of poultry labs across the US that will accept dead birds for necropsy. Once I’ve completed the list, it will appear as a link on my website under Poultry Health Articles. If you know of any, please let me know and I will include them on the list. To prepare a bird for submission to a lab, be sure and keep the bird under refrigeration and preferably secured in a tight container or a zip-lock bag to avoid contamination by other things prior to necropsy. Do not freeze. Once you’ve determined that a particular lab will accept your bird, then send the bird via Express Mail next day, or the equivalent, packed in a small Styrofoam cooler with ice packs to keep the bird cool. Thanks to KJ Theodore for contributing this poultry article to poultryOne’s Guide to Raising Poultry. You may reach the author at ShagbarkBantams.com. Great! To keep the duck’s bath from becoming heavily laden with bacteria from their droppings, I always add a few drops of Oxine every time I change the water. Because the Oxine will also kill off good bacteria in the stomach, wait about an hour between providing the drinking water and their first bath of the day.